If there’s one thing to be learned from the time your S.O.’s mom gave you a handheld vacuum for Hanukkah, it’s that holiday gifts can serve as backhanded disses hidden behind a veneer of seasonal cheer and reindeer-printed wrapping paper. Cleaning supplies say “you’re a slob with dusty floors,” a sonic toothbrush says “your oral hygiene needs some work,” and nothing says “sorry you’re getting old” quite like handing someone a jar that literally has the words “anti-aging ” on it. So how do you gift skin care without making enemies of your nearest and dearest by indirectly sending the message that their blackheads are out of control and their fine lines aren’t so fine anymore? With great caution, of course. First, be absolutely certain that the recipient wants skin care in the first place — if your brother-in-law asks for an Italian cigar knife and you get him a Drunk Elephant starter set, for example, chances are that everyone will leave the situation unhappy. The real secret, then, is to choose a gift that’s at once personal and non-judgmental; effective, but not skin issue-specific. These sets should do the trick of pleasing the skin-care lover in your life without offending, so it’ll be abundantly clear that you’re giving them a gift — not a thinly-veiled insult. “Chlorophobia” is the fear of the color green — and that’s the only reason someone would dislike anything about this clean, plant-powered trio, which features a full-size cleansing oil alongside travel sizes of the brand’s lightweight gel Cactus Water Moisturizer and matcha-infused face mask. ‘Tis the season of dull, flaky skin, chapped knuckles, and nerves shot to hell by the mere thought of your extended family in the same house, let alone the same living room. Address them all with a nourishing clay mask, a moisturizer, an intensive hand cream, and a soothing lavender-infused body oil, best paired with a weighted blanket and earplugs. No one could ever fault you for trying to protect them against ever-worsening environmental damage, right? (Except maybe your uncle who believes that climate change is a hoax.) 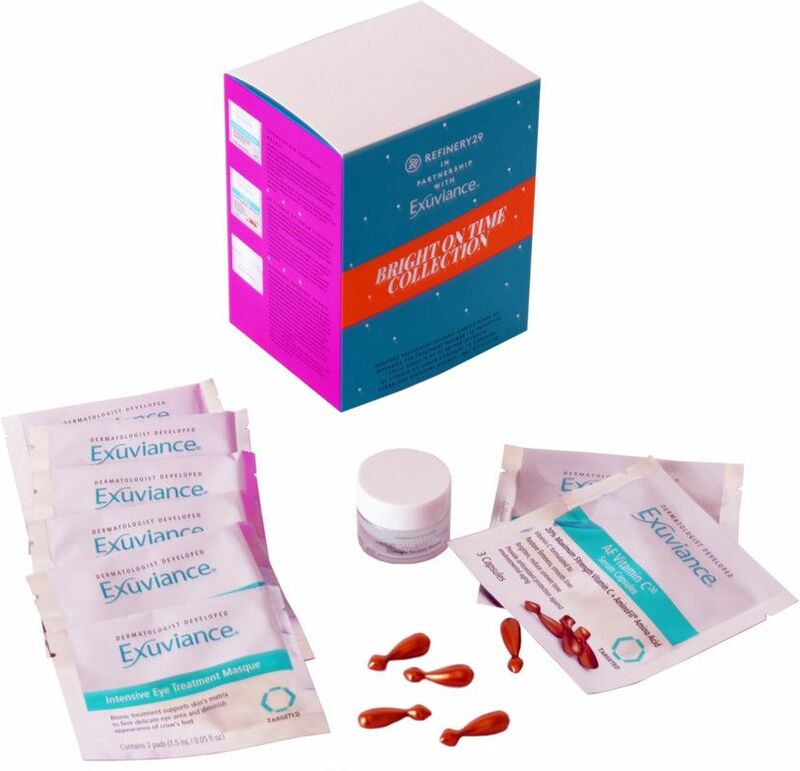 This trio, which R29 put together in partnership with Exuviance, includes rejuvenating eye masks, vitamin C-packed serum capsules, and a dreamy overnight mask that melts into skin to neutralize the horrors of daily pollution while you sleep. A simple yet luxurious skin-care ritual is a surefire winner — not even the snobs in your life will be able to resist this travel-sized lineup of cleansing oil, exfoliating polish, essence, and silky face cream inspired by classic Japanese beauty secrets. 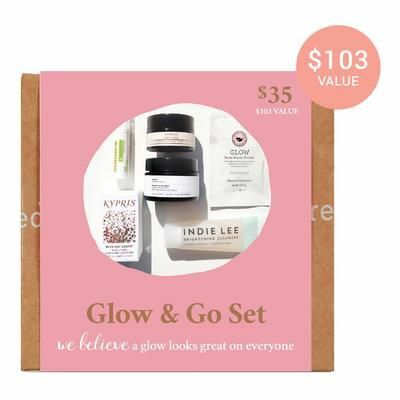 Packed with travel sizes and deluxe minis of the green-beauty wonderland’s best-selling glow-enhancing skin products, this gift set has two benefits: a newly radiant complexion and the smug satisfaction of using exclusively clean beauty products. 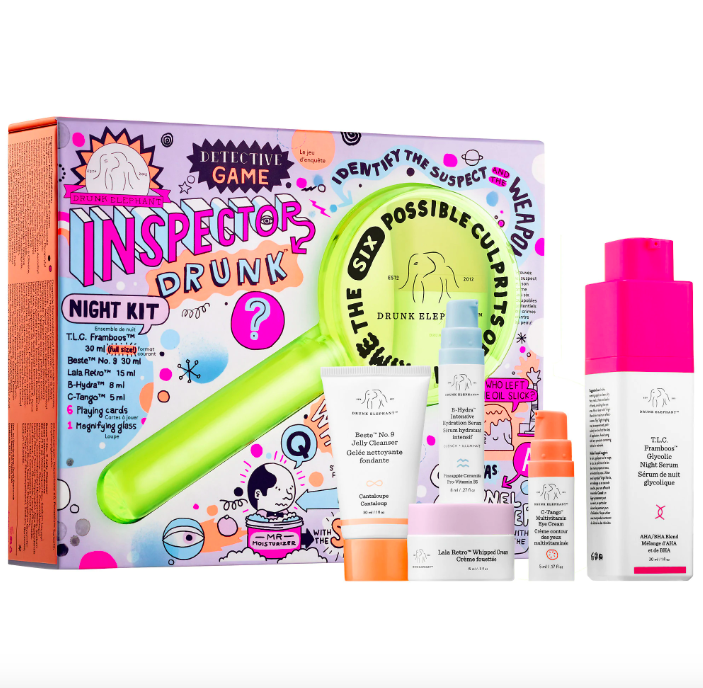 Complete with cleanser, eye cream, a whipped moisturizer, a lightweight serum, and the brand’s beloved glycolic night treatment, this set serves as a physical invitation to join the Drunk Elephant cult — and includes a magnifying glass and card game to help identify the not-so-great products in your recipient’s routine, so you don’t have to.